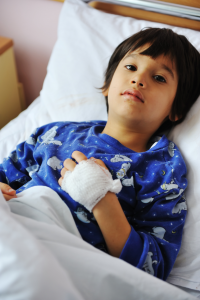 About 70 children die of sepsis per year in Australia and New Zealand. It is therefore important to have systems in place for early detection of severe infection. Developing an approach to avoid diagnostic error is an important task for each GP. In this episode, we hear from an RVTS Medical Educator, Taras Mikulin, who looks at a General Practice risk management system for use in Childhood Sepsis. Taras discusses a practical 6 step system approach to avoiding diagnostic error. Following these 6 steps will decrease the risk of error through conscious clinical reasoning, expanding your differentials, using a checklist to avoid missing important information, safety-netting, escalating care and decision-making as required and reviewing the outcome from each case to learn from the process. Taras mentions these useful resources that can be used in General Practice. You can download them and use them as required. Please review the references below for further information. We look forward to hearing your thoughts on this approach.